Note that if you’re toggling the pin with PINx = (1<<PINxn) as I suggested in my previous comment, the frequency you're measuring is half the toggle rate — first toggle changes pin from low to high, next toggle changes pin from hight to low. So if you're toggling the pin after every instruction, an observed frequency of 15,477 Hz represents 30,954 instructions per second. So PIN18 goes high every time the cpu is processing an instruction. Thanks Joey. To be clear, I couldn’t quite figure out how your version worked so I used a simpler, slower, version. Can you explain how the pin is toggled off again ? 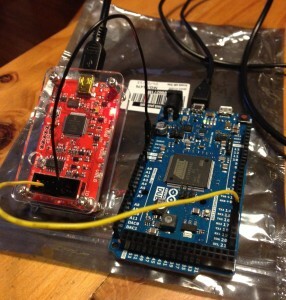 First, I avoided using Arduino’s digitalWrite() function because it has a substantial overhead. On the 2560 the cost of digitalWrite() is 68 cycles for a non-pwm-capable pin, and as much as 100 cycles for a pwm-capable pin. At 16 MHz, that’s 4.5 us or over 6 us on a pwm pin. 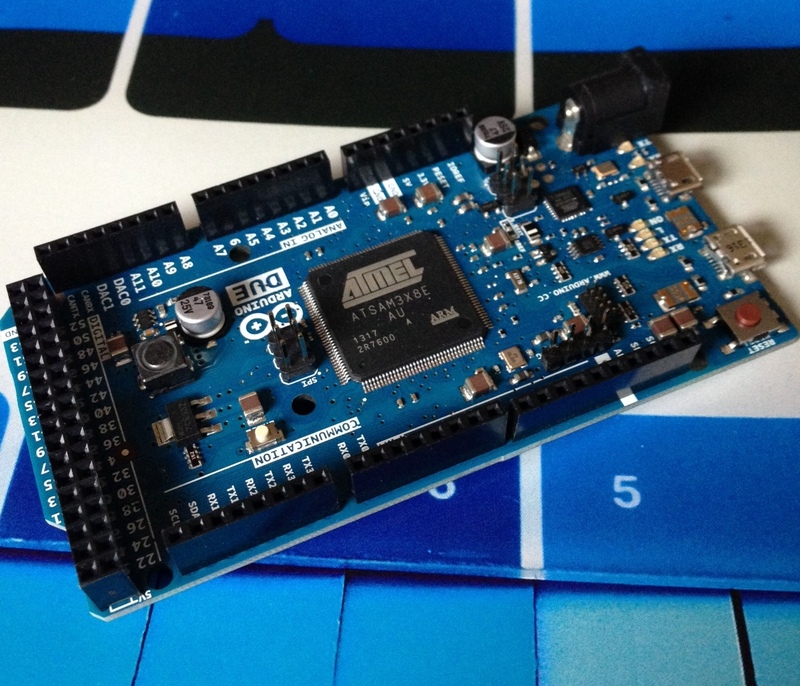 Each pin on the Arduino can be accessed much more efficiently by manipulating its I/O register directly. It does require a knowledge of which GPIO pins are mapped to which I/O register, which bit, and which Arduino pin. That information is available via the link in my very first comment. Your chosen pin (pin 18) isn’t capable of PWM, so the cost of digitalWrite() is 4.5 us. Each of these will compile into a single instruction taking only 2 cycles to execute, or 0.125 us. The second thing is that modern AVR like the 2560 permit the toggling of a GPIO pin by writing a one to the PIN register, which is the register normall used to read the state of the pin. These are the registers accessed by digitalRead(). If the pin was LOW, it will be toggled to HIGH. If it was HIGH, it will be toggled LOW. It also compiles to a single instruction taking 2 cycles. 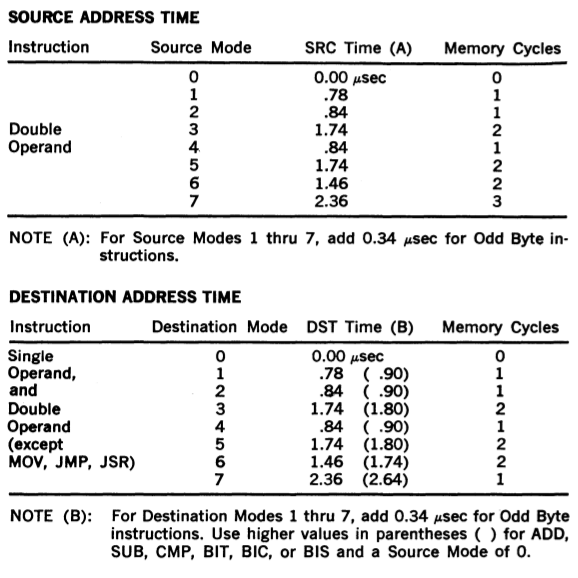 The overhead is 0.125 us per PDP11 instruction. 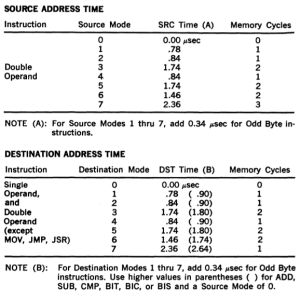 The overhead is 0.25 us per PDP11 instruction. To compare, with a measured frequency of 10,000 Hz, each instruction takes 100 us. 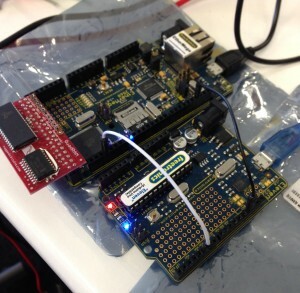 However that includes the two calls to digitalWrite() at a cost of 9 us. 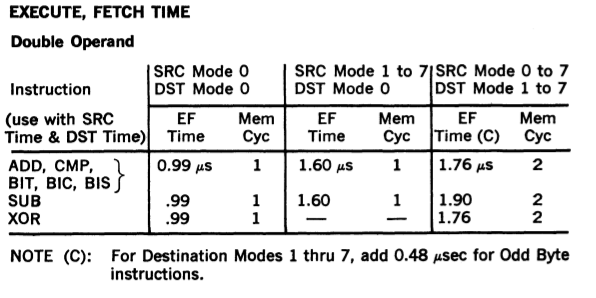 Without the calls to digitalWrite() the simulation would be 10% faster. Somewhat ironically, using digitalWrite() in this way probably has a worse impact than your initial technique of using millis() with a counter. Switching to one of the above forms will reduce the impact to a small fraction of a percent. In either case, remember to configure the pin as an output with pinMode().